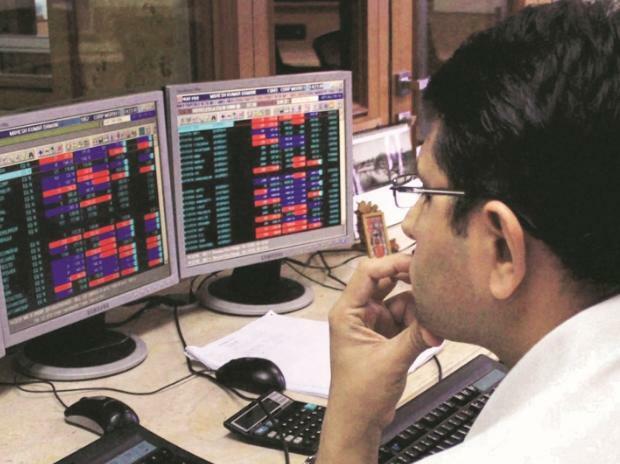 Breaking its four-day rising spree, the Sensex ended over 100 points lower on Thursday, led by selling in banking shares as investors stayed on the backfoot ahead of key results. Lacklustre global cues and a weakening rupee added to the wariness of participants, traders said. 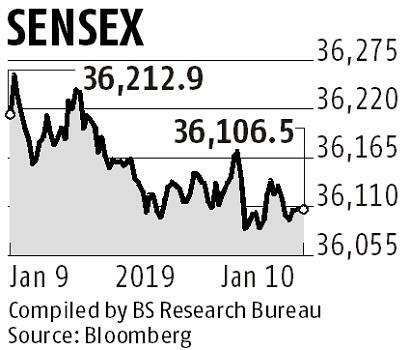 The Sensex settled 106.41 points, or 0.29 per cent, down at 36,106.50, while the broader Nifty fell 33.55 points, or 0.31 per cent, to finish at 10,821.60. Shares of TCS were little changed, ahead of its quarterly earnings. On the other hand, Tata Motors, NTPC, Infosys, YES Bank, M&M, L&T, Bharti Airtel, and HUL were the top gainers, rising up to 1.34 per cent. Meanwhile, foreign portfolio investors (FPIs) bought shares worth a net Rs 276.14 crore on Wednesday and domestic institutional investors (DIIs) were net buyers to the tune of Rs 439.67 crore, provisional data available with the BSE showed. “Earnings will provide some sense of where things stand... Clearly, after four years of lackluster earnings growth at the index level, earnings need to start coming through and investors will be keenly focused on forward commentary in particular,” said Sunil Sharma, Chief Investment Officer of Sanctum Wealth Management. On the macro front, the rupee depreciated 10 paise to 70.56 against the dollar. In Asia, Korea’s Kospi fell 0.06 per cent, Japan’s Nikkei dropped 1.29 per cent, and Shanghai Composite Index slipped 0.36 per cent, while Hong Kong’s Hang Seng index rose 0.22 per cent.